We are very proud that the CQC report of Southgate Dental Care confirmed that we are providing care to the highest of standards . As dentists, we are regulated by the government body – The Care Quality Commision ( CQC). Their role is to inspect practices to establish if the Essential standards of quality and safety are achieved. 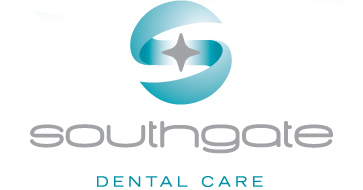 Please read extracts of the report on Southgate Dental Care by clicking here. I wish I had found Dr Risoli sooner. Prior to getting my teeth "fixed" at Southgate dental care, I was always having repairs done – I always seemed to be at the dentist! Since my treatment at Southgate my teeth have now stayed "fixed"! I was afraid that having dental implants would be painful. But I had sedation at Southgate Dental Care and was so relaxed I love going back. Also my dental implants look great and cost less than I imagined. I had always been scared of the dentist- but since I have been seeing Dr Risoli I no longer have sleepless nights before a dental visit. I would thoroughly recommend Southgate Dental Care. The staff are so friendly that I actually enjoy my visits. The place is so clean that I feel very confident that I will be well looked after. I had bleaching and invisalign done and my teeth have never looked or felt so good. I have become a much more confident person and wish that I had done it years ago! I never imagined that fixing my crooked teeth would be so easy and painless. Dr Risoli and his wonderful staff have made me feel years younger. Thanks for giving me back the confidence to smile without having to cover my mouth with my hand. All my friends are amazed at the improvement and want your number! After treatment with Dr Risoli, I can now say I am pain free and no longer fear going to the dentist. I trust Carlo and his team implicitly and for the first time in my life have confidence in a dentist. Having not been to the dentist for a number of years, I was very nervous. You quickly put me at ease with your calm, confident manner and clear explanations. I was ecstatic with the work that was carried out and the care and attention I received. I just want to say thank you to you and your entire team at Southgate Dental Care for my new white teeth. You explained the process so well and gave me so many options. After treatment I could not believe how good my teeth looked. I can’t stop looking in the mirror and my cheeks hurt from the constant smiling. The dental staff have been exceptional. Everybody was so friendly and understanding. My experience at this practice certainly cured my dental phobia. Mrs D.D had her old crowns replaced with all porcelain crowns and veneers. Two missing teeth were replaced with titanium implants - she wrote. Dear Dr Risoli and Team, Thank you very much for my new smile I cannot tell you how much confidence I now have. I smile all the time and I love showing off my new look. It was all pain free and I felt very relaxed and would definitely recommend your practice. Once again Thank you all very much.